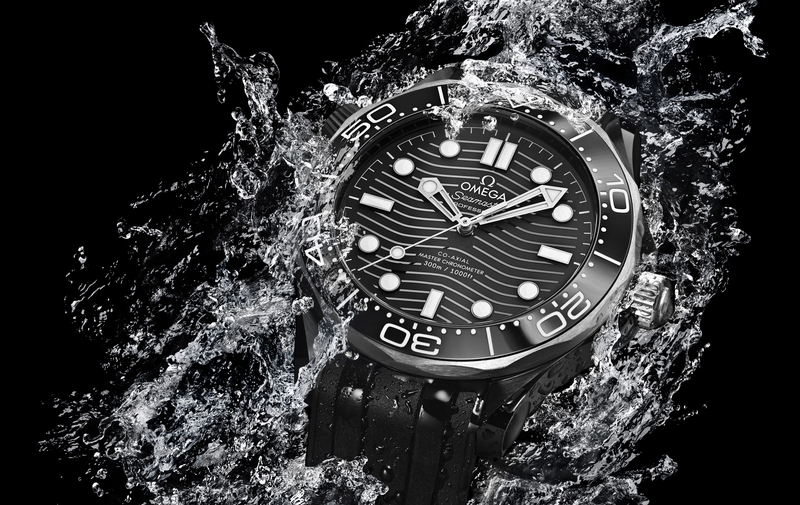 Omega has just announced a new brushed black ceramic version of the Seamaster 300M, with a grade 5 titanium caseback. 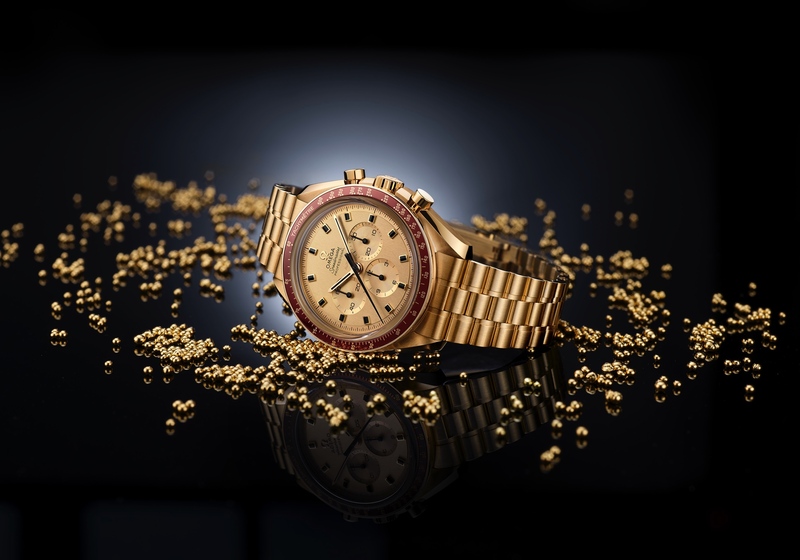 The watch is powered by the company’s Master Chronometer caliber 8806. The Seamaster 300M Black Ceramic and Titanium diver’s watch is similar to the Seamaster 300M line that was launched last year, and that we went hands-on with. It features the same style of ceramic dial with the same laser-engraved wave pattern (minus the date window), giant skeletonized hands, helium escape valve, ceramic bezel, and so forth. 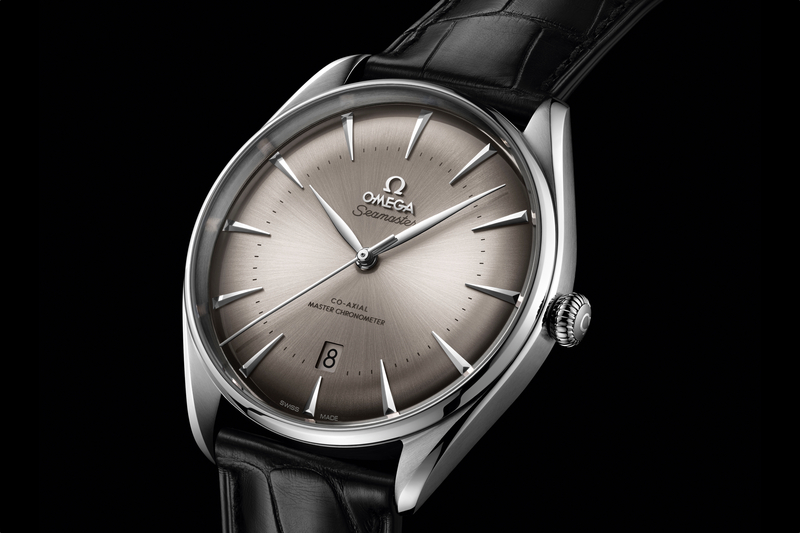 However, this version is slightly wider at 43.5 mm (versus 42 mm x 13.56 mm for the existing Seamaster 300M). Also, due to the size increase, Omega utilized caliber 8806, which is essentially the same as caliber 8800, just without a date, and it’s also 3 mm wider (29 mm vs. 26 mm), which is a better fit for the new case. The ceramic case has been given a nice matte brushed finish, and the dial also has a matte finish, which is surely better for visibility in bright conditions, something that is very apparent with a polished ceramic case or dial. Retail is approximately $8,100. 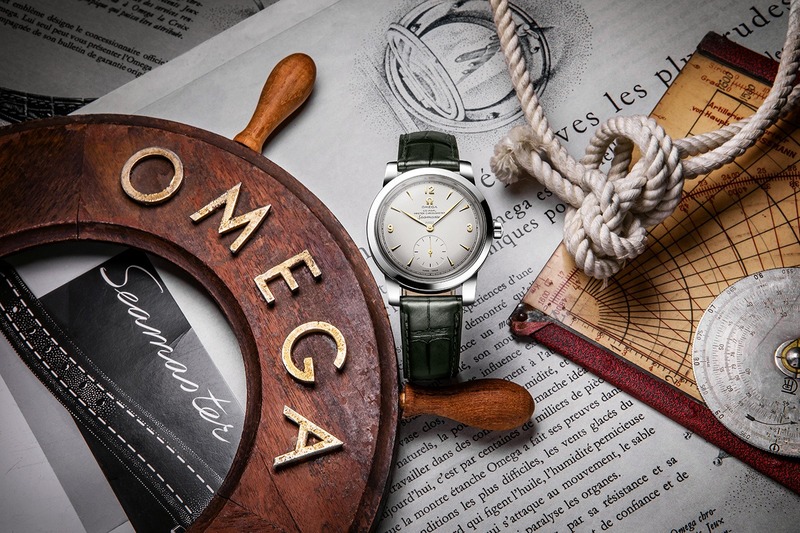 Learn more at Omega.